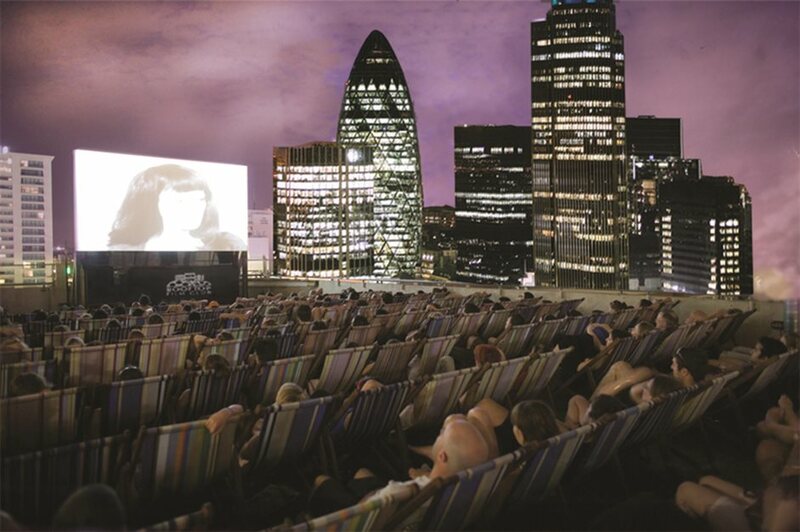 Now a celebrated and integral part of Shoreditch summer nights, the Rooftop Film Club at the Queen of Hoxton rooftop terrace returns for its summer screening series, which sees a range of classic, cult and recent releases shown on a big screen on the roof for £15 a pop. This year the space has been transformed into a futuristic, utopia version of Las Vegas. The experience is far cry from the usual cinema multiplex fodder - with guests able to sit back under the glow of The City's skyline as they enjoy their favourite films with a drink in hand. Wireless headphones, a massive screen, comfy chairs, blankets, drinks and bar food makes for a great all-round experience - and the setting really is quite something. The Rooftop Film Club has also returned to the Bussey Building in Southwark and Roof East in Stratford. What are the best dining options near Rooftop Film Club at Queen of Hoxton London? Rooftop Film Club at Queen of Hoxton gyms, sporting activities, health & beauty and fitness. The best pubs near London Rooftop Film Club at Queen of Hoxton. Rooftop Film Club at Queen of Hoxton clubs, bars, cabaret nights, casinos and interesting nightlife. Where to have your meeting, conference, exhibition, private dining or training course near Rooftop Film Club at Queen of Hoxton. From cheap budget accommodation to luxury 5 star hotels see our deals for The Queen Of Hoxton hotels, including 196 Bishopsgate Serviced Apartments from 85% off.